So from Part 1 of my home cider guide, you should now have the skills and knowledge to successfully process and ferment your own cider. If you followed my guide, your cider and/or perry should be completely finished in terms of fermentation, and now in need of bubbles. It is this next point of proceedings where I get asked the most questions. It can be a little confusing and overwhelming, and it definitely took me some time to perfect my methods (and a lot of internet forum searching). But what I will discuss in Part 2 of the DIY guide is the final steps of the process including bulk priming, bottling, secondary carbonation and ageing. Firstly to determine your final alcohol level, you need to do a few simple calculations. What you need handy is your original gravity (OG), and your final gravity (FG), which are taking with the hydrometer. NOTE: Original Gravity is taken when you first being ferment. Final Gravity is taken when fermentation has ceased. A consideration you need to think about is if you want bubbles in your cider. In cider lingo, a 'still' cider means strictly no bubbles. The cider is practically flat, and can sometimes come across as a little boring. Through my experiences, most people like a little carbonation in their cider, but not to the point of a fizzy soft drink. A slightly carbonated cider adds life and vibrancy to the palate, and offers another dimension of interest. If you want a still, you would bottle at this point and let it age. If you want to define your style with some fizz, then follow my next set of steps. NOTE: The ciders I produce through my methods are semi clear post secondary fermentation, but do have some harmless yeast deposits in the bottle. These can be easily decanted on pouring to a glass. I want to first state that carbonation drops are poor and should not be used if you want a consistent product. I dislike them, as they have a real amateur feel about them. If you have them, ditch them. I want to introduce you to a new process called 'bulk priming'. What bulk priming essentially means is a sugar solution is added to the whole batch of cider, not to individual bottles. This helps to evenly prime the cider ready for secondary. You will get a far better, and consistent bead and bubble every time using this method. The residual yeasts left from the ferment more often than not spring back into life and referment the added sugar, and hence create the bubbles. If you're concerned that your initial yeasts may not be viable, then by all means add more. My method works every time without having to reyeast, but this step is completely up to you. So take off the lid to your fermenter and prepare to add your sugary mix. CRITICAL ADDITIONS: To bulk prime to a nice soft carbonation level, add 10g/L white sugar dissolved in water to your batch and mix well. For example in 50L's, 50L's x 10g/L = 500g's of sugar. For yeast, if you can find EC1118 then add this at 400ppm to your sugared up cider in the fermenter. If you can't find this yeast, any substitute will do. Again, 50L's x 400ppm / 1000 = 20g's.Remember, this method of cider making will produce a dry, higher alcohol and semi clear cider. There are alternatives to sweeten which I will explain later. Also, DO NOT add anymore sugar than what I have stated - double check your volumes and calculations. If so, you run the risk of exploding bottles which is a extreme hazard if glass is involved. Now that the cider is sweetened up and the optional yeast has been added, it's time to bottle. What ever you choose to bottle in - plastic, 330mL, 500mL or 750mL glass, just remember that the larger sparkling wine bottles take a 29mm crown seal. This larger crown seal also means you need to purchase the corresponding bell for correct application. The 330mL and 500mL's take a smaller and more easily available 26mm crown seal. Bottling is simple and can be a bit of fun. I always find it a special time, as you are bottling something 'you' made. The method for bottling varies, and is completely unique to your set up. But fill your bottles to a respectable level, leaving some head space and then cap. There should not be much yeast lees on the bottom of the fermenter as you have racked at least three times. If there is some, just discard it down the drain. So the cider is in bottle and ready for secondary fermentation. You're almost at the point where you can enjoy your spoils! Unfortunately, patience is required with this next step. It's understandable that you would want to devour your freshly made cider, but it needs time. It needs time to develop flavour, develop complexity and develop a fine carbonation. The absolute minimum is around the two to three weeks from bottle to consumption. But I have cider from roughly two years ago, and it's only getting better - contrary to popular believe that cider doesn't age. Let your bottles age and ferment in a cool place, away from any extreme heat and temperature fluctuations. This ensures a nice, steady secondary with no off flavour development. Malo lactic fermentation or MLF, is a process where malic acid (a harsh tasting acid found in apples) is converted to lactic acid (a much softer acid) by lactic acid bacteria. During your bottle priming, you may get some spontaneous MLF happening, which softens the palate and makes the cider more microbial stable. Any SO2 additions post ferment will kill off these bacteria, and MLF will not initiate. NOTE: Bulk priming in glass is just one method of carbonating home brew cider. Force priming with CO2 in 19L cornelius kegs, and dispensing from a tap is definitely an option - but costly. A counter pressure filler is also an option which let's you bottle forced carbonated cider from keg to bottle, but again harsh on the wallet. My method is easy, cheap and effective, with no fuss. Advanced techniques of pasteurisation, filtration, hand disgorging, lees contact and oak age are all processes which can aid in a ciders complexity. Once experience is built over time, these techniques are definitely worth a try to help develop your style. But for now, let's keep it simple. Now for the sweet conundrum: For the lover's of sweeter cider. Besides filtration, you're not going to be able to produce a sweet cider naturally, sorry! But things you can possibly do is add some fresh apple juice to your cider when drinking. This is quick and easy. Another method is to add an unfermentable sugar, in this case - lactose. I have used it personally and you need a whole heap to even make it semi sweet. I find it impacts on mouth feel too, which really is not desirable. Also anyone who is lactose intolerant can not drink it. 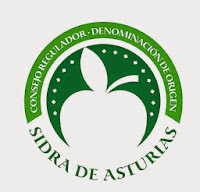 But I believe you have made a natural cider, so I say keep it that way with no additives. Congratulations!! After a short wait, you will be drinking your very own handcrafted and 'real' cider. No muck, no concentrates, no added sugars. Pure and better for you. If you are considering making cider at home, I hope my guide gives you the inspiration and confidence to give it a go. Trust me, you'll have a lot of fun and learn heaps whilst you do it. Also, I would love to hear of your experiences - be it bad or good. Good luck!! Happy cider making, Cider Masters! And whence thou mayst bear apples enow! And my pockets full, too! Hurra! I was lucky enough to be asked to compose a review and be a guest blogger on the Food Mentalist. The Food Mentalist features cider reviews through the popular Cider Sunday segment. For my guest review, I wanted to write up a special cider and I couldn't go past an Eric Borderlet! Click on the link and check out my review of the 2008 Eric Borderlet - Brut Tendre. So you are aspiring to be a back yard Cider Master? You’ve got the equipment, bought some apples and you’ve found a tiny bit of free space in the garage. But it’s at this stage where you go “crap, now what?” Well I am here to give you a very basic run down on how to make your own special brew with added hints, tips, procedures and technical mumbo jumbo. It’s actually very easy and if done right, you’ll be boasting to your buddies with a beautifully home made cider. What I will discuss is my methods, and these may vary to others you have seen. But with a 100 per cent strike rate of making killer back yard cider, I think I am pretty qualified!! All pictures shown are from my own experiences of home brew cider making over the past five years. When you bring the fruit home to process, it’s paramount you are organised and have all your equipment laid out ready to go. It would no make sense to mill your fruit and forget the press! Also, it’s essential all the equipment is clean and food grade. My first ever batch of home brew cider was made by chopping up 50kg’s of apples using a kitchen processor!! But as long as you can scratter the apples efficiently ready for pressing, then you’re on your way. This is the important one. A few decisions/considerations you need to make are: What varieties you would like to use? Single varietal or blend? Availability? Apple, pear or apple/pear? Remember, blending will give you options to shape and refine your final cider. Have a think about what you want to see in your cider? For the more readily available commercial apples, a rule of thumb for me is: Pink Lady adds crisp acidity and attractive apple characters, Granny Smith adds sharp residual acidity, Sundowner adds richness, Fuji adds sugar with no acidity, Jonathon’s add up front apple sweetness and Pears add lovely earthiness with some residual sugar. I personally style my ciders to have fifteen per cent pear in the blend, to add an extra element of flavour, delicacy and sweetness. NOTE: Many different apples ripen at different stages; therefore it’s prudent to do your research. For example, Jonathon ripens much earlier than Pink Lady, therefore the two varieties may not be commercially available at the same time. Apple growers do cold store their apples, so you may be lucky to be able to pick and choose from many varieties. But with fruit, sometimes it’s a case of what ever you can get your hands on. This is the beauty of cider making, you never know what hidden gems you will come across. I remember my first batch being a blend of Jonathon, Red Delicious, Rome Beatuy and Granny Smith. From this exercise, I concluded for my own tastes, Red Delicious and Rome Beauty were very poor varieties for cider. As you get more experienced, you start to develop an understanding of what varieties perform well and others which don’t. NOTE: Eating apples are the easiest source of fruit. Unfortunately there is little to no cider apples available in small quantities for home brewers – unless you grow your own tress. The fruit is ready, the equipment is plugged in and you’ve roped in a couple mates to help. It’s time to get busy! Firstly, it’s a wise move to wash the fruit in water to remove any dirt, stickers or residual chemicals off the surface. Once complete, what ever you have found to crush up your apple’s, fire it up and start slicing and dicing. The milled apple (and/or pear) which is produced is a thick, paste like mush called ‘pulp’. This is to be pressed in the next step and contains the juice, tannins and chopped up seeds. NOTE: You will notice that the pulp will go brown very quickly! This is caused by oxidation carried out by the enzyme Polyphenoloxidase. Don’t worry; I have had juice go almost black. Trust me; it’s completely safe and fine. Depending on how much fruit you have got (usually 50kg’s is more than enough), it will take time to crush them up. Hence, get your mates involved, cook them a barbie and share a few beers. It will make the whole experience more exciting and fun. Depending on the size of your press, you may have to press in batches. Mill the fruit, then press, mill the fruit then press and so on. When pressing, make sure you get a good ‘squash’ happening. The more pressure exerted on the pulp, the more juice and tannins you will yield. Once the juice is extracted, what you are left with is a dry, solid marc called ‘pomace’. The pomace can been thrown into the bin, or fed to the chooks. NOTE: Through my experience, apples yield around 50 to 55% extraction. Meaning: for 50kg’s of apples, you will yield around 25L’s of pure juice. Perfect for a small home brew fermenter. The juice which comes out of the press is beautifully rich, dark and sweet. Don’t drink too much of it, or you will be running to the toilet!! Acidity levels should be sufficient at this stage, if using higher acid varieties. Blending different varieties at this stage can help regulate acidity levels. Also note, you will lose a little in volume in the next step of racking. Ok, so you have processed all your fruit, it’s all pressed out and sitting pretty in your fermenter. At this stage I thoroughly recommend adding a preservative to your juice. This ensures all the nasties, bacteria etc. is destroyed and won’t make anyone sick. Campden tablets are very common in home brew. These contain the active ingredient Potassium Metabisulphite (PMS), which is a preservative. This preservative is very commonly added to wine and cider to minimise oxidation and act as a preservative to maintain freshness. CRITICAL ADDITIONS: At this stage, I recommend either adding 2 campden tablets, or adding 100ppm PMS in powder form. 100ppm = 100mg/L. This addition rate is very high but this ensures that again all bugs and bacteria are destroyed. SO2 additions are dependent on the pH of the juice, therefore a larger addition of sulphur is needed for effectiveness as the pH of apple juice is much higher than wine. So to add 100ppm to your juice, you first need to know your volume. Once you know how much juice you have, plug it into this 50L example. 50L’s x 100ppm x 2 / 1000 = 10g’s PMS. All you need to do is change the 50L figure , for your volume! I would also recommend adding a fining agent like pectinolytic enzymes to help settle and clear your juice. You can either add a store bought commercial pack of ‘finings’, or if you can get your hands on some, industrial enzymes. Just add these at the specific rates, for example 3g/100kg’s. So we are now at that point where your juice has been mixed thoroughly with the sulphur and settling enzyme additions. Here’s the disappointing part – your job is done for the day. Let this sit over night to let the enzymes to do their thing, and settle all the solids to the bottom. Don’t disturb it! NOTE: At this point, take an original gravity (OG) reading with your hydrometer. For ripe apples, an OG can be anywhere from 1.060 to 1.070. This determines initial sugar levels and potential alcohol. I bet you’re thinking “What about yeast?” Don’t add this until the morning! Morning sunshine - Time to go out to the shed and see how the juice is travelling. What you should have is nice clearer juice on the top, with thick solids on the bottom. If not, leave it for another six to twelve hours. But if there is good separation, what needs to be done now is a process called racking. Get your juice up to higher ground than your second fermenter – be careful not to disturb the juice fractions. You need to gravity feed (with your clear hose), the clear juice off the solids. The solids go down the drain! Once complete, you are ready for pitching the yeast. CRITICAL ADDITION: If this is your first batch, use commercially available cultured yeast. Only try wild fermentation when you are a little more experienced. I recommend Wyeast Cider 4766 as it’s a liquid, is rich in nutrients and doesn’t need rehydration. It produces a very consistent ferment with no off flavours. You can use other commercial yeasts such as EC1118 which is Champagne yeast. For addition rates, follow the producers instructions. Try to pitch yeast in the range of 15 to 20 degrees for best results. Yay! You have inoculated apple or pear juice! With 100ppm SO2, your ferment will take a little time to begin, as the yeast are in shock. Don’t worry; it will begin in a day or so. Any longer than this and there is the slight chance of spoilage from acetobacter or white mould, which is not good! TIPS FOR FERMENTATION: You want a nice slow and coolish ferment for cider - that is the aim of the game. Too hot, and you will lose the delicate apple aromas. Optimum fermentation temperature is between 12 to 15 degrees, but anywhere up to 20 is fine. Over that, and your ferment will finish super fast and will taste very unpleasant!! Take gravities every few days and track the progress of your ferment. At this cooler and slower rate, expect the fermentation to go for at least two to three weeks. This is perfectly normal! DO NOT let any air into the fermenter! During mid fermentation, if a very unpleasant smell of rotten eggs overwhelms the confines of your house, then you know this is a sign of your yeast not loving life. I have had my wife ring me once before saying the house stinks like a fart! This is hydrogen sulfide (H2S), which is more commonly known as rotten egg gas. It is the direct result of the yeast running low on a nitrogen source, so they begin metabolising other compounds. I personally find many of my ferments not succumbing to the lower levels of nitrogen, and hence not reeking out the garage. I put this down to the apples themselves having sufficient nitrogen sources stemming from the fertile orchards from which they came. But a yeast food like diammonium phosphate (DAP) is a perfect addition to replenish the nitrogen stores. This must be used with caution, as if it’s added too late and all is not consumed, you will run into issues of spoilage down the track. CRITICAL ADDITION: Many homebrew shops sell yeast nutrient which is prefect to keep the yeast healthy and happy. Add around 200ppm of the sachet to your ferment and all should be fine. For example with 50L’s: 50L’s x 200ppm x 2 / 1000 = 20g’s. The smell will dissipate, especially with a little splash of the ferment. Don’t add too much of it, as the yeast will start fermenting like wild fire and the ferment will finish too fast. Once your ferment gets around to the 1.020 mark, I would rack again to the empty fermenter. This helps clear up the cider, and slows down the ferment. I would even give it another rack at the 1.010 stage. Don’t worry, due to the carbon dioxide which is produced during the ferment, your cider won’t oxidise and go off. This is due to carbon dioxide (CO2) being an inert gas. But to rack at least two more times during ferment will ensure you have a much clearer end product, free of solids. To determine if your ferment is finished, you need to observe a gravity reading which is the same for two days straight. This could be anywhere from 1.005 to under 1.000. It will produce a dry cider, so no sweetness what so ever. To make a sweet cider, you need to be a little more experienced and I am not going to describe my pasteurisation technique – way too long and technical. This is why adding pear is an option, as pears contain unfermentable sugars like sorbitol. Hurray! You have successfully, milled, pressed and fermented a clean and 'real' cider. Watch this space for Part 2, where I will discuss bulk priming, malo lactic fermentation, bottling and carbonation. 1. What got you into making cider? Bought an old orchard 20 years ago and wisely decided not to plant wine grapes. Saw most of our fruit graded out and sent to juice makers and decided to have a go at value adding. 2. How long have you been making cider for? Almost 15 years since we made our first batch, opened our cellar door in April 2003. 3. Can you give a brief run down of your ciders? All made from fruit that we grow ourselves with a small amount purchased from some neighbours in Harcourt. The emphasis is now shifting from being dominated by culinary apples to cider varieties. All are slow fermented to dryness and then bottle conditioned. 4. What is it you like most about making cider? Growing the different varieties of cider apples (now 43), making the individual varietal ciders and learning how to blend them to best effect. Making a quality product that people appreciate rather than a bulk alcopop product. When a young lady in our cellar door, on trying our Kingston Black for the first time, said "Wow, this is really a cider for grown-ups". 6. What is the most common question you are always asked about cider? "Do you have Sweet, Dry or Draught?" or "What flavours do you make? Drives me nuts. 7. What are you views on the current state of cider in Australia? 8. What makes cider so popular to consumers? 9. What are your reasons for the sudden surge in cider popularity? Dominance of the big brewers and their advertising dollars chasing their share of the Alcopop market. 10. Where do you see the Australian cider industry in five years time? Assuming that the industry is not taxed out of existence, a lot of the opportunistic producers will have moved on, the big brewers will remain as they are and the quality producers will maintain their niche market place. Hi there fellow cider lovers! 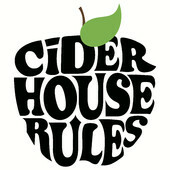 For anyone who is interested, I was a recent guest on the Australian podcast Cider House Rules run by two cider junkies named Aiden and Matt. Click on the link below to listen to me talk on a range of cider topics like - What is real cider and What do I look for when I taste cider. It's a bit of a laugh and all in good fun. The podcast is titled 'Balanced'. Enjoy! Well, I have been given the call up again - to put my cider reviewing hat on and appraise two additional apfelwein’s from producer Weidmann and Groh. You can read up on some background information on the producer in the link provided, along with the Bohnapfel review. But the two apfelwein’s which will be reviewed today are the Trierer Weinapfel and Speierling. This single varietal apfelwein is made using the popular Trierer Weinapfel, which is characterised by its higher tannins and acidity, with lower levels of sugar. The colour was a deep and dark gold, which was a direct result of maceration techniques used in the processing. Maceration on pomace is not overly traditional for apfelwein, but Weidmann and Groh use this to achieve a rich and dark colour, with more pronounced flavours. The apfelwein was also filtered clear, with only a very light level of carbonation. The nose was one of the better noses I have come across in my experience as a cider reviewer. Beautiful and intense floral characters leaped out of the glass, followed by old oaky notes complimented by some farmyard brettanomyces. I could detect just a tiny hint of acetic acid too, but this only added to the whole dynamic of the aroma. Other pronounced features consisted of rich orange marmalade, fresh over ripe apples, apple pie, old barn, alcohol and spice. Depth, richness, heavy and traditional are the best words to describe this impressive nose. A real pleasure. The palate was dominated by a very aggressive and sharp malic acid structure. This sent the salivary glands into overdrive. Delicate apple tannins and thick apple sweetness helped balance out the higher acidity zing. There were good amounts of woody oak and fresh apple flavours, along with a warm alcohol sensation. A slight oily mouth feel was evident, with just a light sprtiz on the tongue. I loved the balance between the oaky notes, the varietal apple flavours, the focused acidic backbone and halbtrocken sweetness. A nice long lingering length rounded out the palate perfectly and harmoniously. You couldn’t help think that this apfelwein was very closely related to an old English vintage cider. This was a special apfelwein – perfect for the real cider enthusiast. Big, ripe flavours with a driving acid backbone were the hallmarks of this beautifully aged style. There is huge potential to use this apfelwein in cooking too, especially with roasted pork. But this was a real pleasure to drink. Highly recommended. This next apfelwein is produced using just a small amount of the rare and indigenous Speierling variety. It’s made by using field apples (streuobst) as a base, with the small amounts of Speierling juice added to enhance tannins and complexity. The style is considered to be one of the more traditional methods of producing apfelwein in the Frankfurt area. The colour shone a lovely deep gold and the carbonation was very light, to almost non existent. On the nose, the Speierling was noticeably less intense and very subdued compared to the Trierer. It was more restrained and highly introverted. There were some light apple aromas and slight woody notes along with apple core, leafy and orange blossom characters. An interesting creaminess was also an interesting feature which was picked up on. This nose was lacking in intensity but it was clean, fault free and fresh. The palate showed some noticeable apple sweetness which was balanced well with a tight malic acid backbone. A commendable tannin structure, along with some added bitterness was soft and delicate, but also very focused. This did add lovely texture and mouth feel. Flavour wise, it did taste a little watered down, with some of the delicate fresh apple flavours diluted. Although the front to mid palate was bold and notable, the back palate lacked essential punch which otherwise would have rounded out the palate well. The lack of carbonation may also be a reason why the palate lacked excitement towards the end. This example was exceedingly more delicate and restrained compared to the Bohnapfel and Trierer. I found it a little more commercial in style, showing more ‘modern’ features. In saying this, it still was a very creditable example. Again, this would be perfect with food – possibly with soft cheese or again a pork dish. 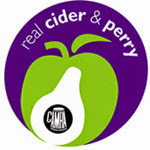 Check out www.ciderhaus.com.au to check out their range of quality apfelweins. I don’t know about you, but I am thinking some clever marketing has gone into this cider label. Dr Pilkington’s Miracle Cider would have to be one of the cheekiest, mysterious and somewhat endearing cider label concepts on the market today. ‘Made under Doctors orders’ and ‘When it works it’s a miracle’ are just a couple mischievous little slogans which are pasted over the bottle. A Tasmanian Cider Maker tweeted to me recently that “cider should be fun”, and you can’t help think this statement holds true for Dr Pilkington’s. You get that sense of a fun, tongue in cheek beverage designed for simple drinking. I also can’t ignore the awesome larger 500mL VB hand grenade bottle shape, which reminds me of the old school long necks. The cider itself is produced in collaboration between McLaren Vale wine producer Chapel Hill, and the McLaren Vale Beer Company. Under the supervision of Winemaker Bryn Richards, the cider is made at the Chapel Hill winery. I recently visited Chapel Hill winery and had a solid in-depth chat with Bryn regarding Dr Pilkington’s. 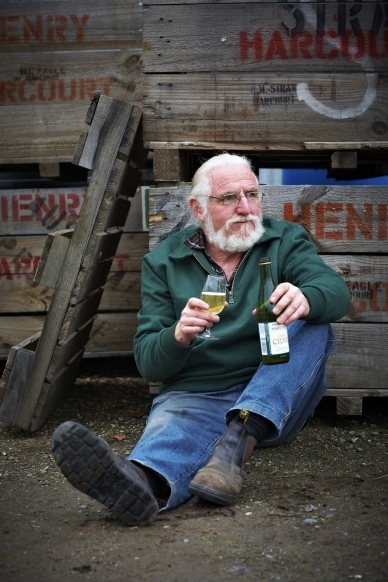 In Bryn’s eyes, the cider was made to be simple and very straight forward but have significant drinkability virtues – nothing more, nothing less. The fruit sourced is actually bulk juice bought from a juicing plant in the Adelaide Hills, and trucked down to the Vale for processing. The purchasing of bulk juice is common practise in Australian cider, with actual physical on site milling and pressing more common with artisan/boutique producers – especially in Tasmania. The Dr Pilkington’s cider poured a very light straw which fit in well with the simpler, dessert apple style. The carbonation was aggressive at first but died down fast to a fine soft bead. I found the nose to be quite similar in character to that of a white wine. Intense fresh citrus aromas of tight lemon and lime dominated with other contributing aromas of lemonade, Granny Smith apple skin and asparagus. The potent citrus notes made it a little hard to find any real definitive varietal apple characters in my eyes. But overall, the nose was fresh and clean but very simple and uncomplicated. It was almost to the point of being a little uninspiring and tedious, but that is a stylistic trait. The simplicity of this cider was evident on the palate too. The large up front C02 bubbles where quite aggressive, bordering on soda water. To be honest, the cider did taste a little like soda water which had a hint of apple flavouring put in for good measure. I know this may sound gross, but I did burp a lot with this cider as a direct result of the high dissolved carbon dioxide levels. There where some nice dry fresh apple flavours, but I found them being drowned out by a watery mouth feel. A ruthless acidic back bone did add structure, and a hint of tannin grip provided some much needed texture. The back palate was a combination of lip smacking acidity, large bubbles and steely sulphur dioxide, but with no real dominate apple flavours. The dryness of the whole package however, was actually quite refreshing and made the cider quite drinkable. Right, so the brief from Bryn Richards was for a simple and drinkable cider, and it wasn’t ever meant to set the world on fire in terms of cider superiority. So did it nail the brief? It most certainly did. This cider would be absolutely perfect on tap, in a nice cold glass with your best buds as company. This is where this cider would really excel. It’s drinkable, refreshing and not full of any scary components which would turn consumers off – big tick there. It’s just pure 100 per cent fermented Adelaide Hills apple juice. But I would describe this style as the short, back and sides of Australian cider. Its downfall is that it is very basic, and may leave you yearning for something with a little more oomph and gusto.